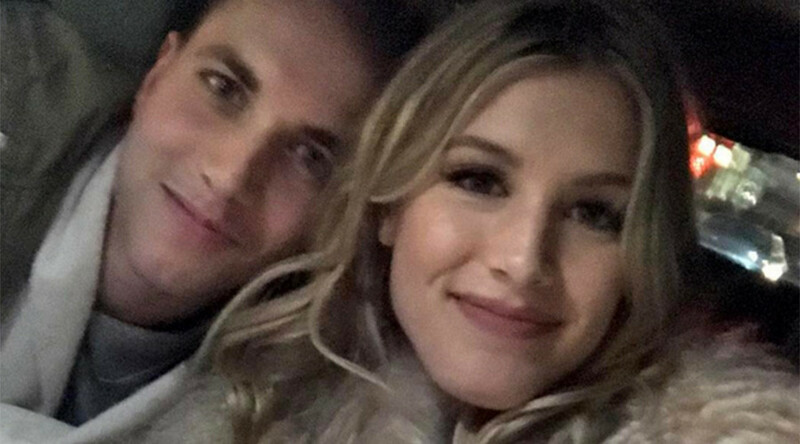 Canadian Tennis player Eugenie Bouchard stayed true to her word to share a date with a stranger after betting NFL team Atlanta Falcons would win Super Bowl 51 on Twitter. With the Falcons leading 21-0 in the NRG Stadium in Houston, fan Bouchard, from Montreal, posted a hasty tweet prematurely celebrating their win that read “I knew Atlanta would win btw” to her 1-million-plus followers on the social media site. But brass-necked Patriots fan John Goehrke, who has the handle @punslayintwoods, had a proposition for the tennis player: if the Patriots win, the two would go on a date. The Falcons then edged further in front at 28-3, but the Patriots replied with 25 unanswered points through quarterback Tom Brady that took the game into the Super Bowl’s first ever overtime period. Brady found Danny Amendola for a successful two-point conversion following a 91-yard drive, then James White’s two-yard touchdown clinched the game for the Patriots. After the stunning comeback, a red-faced Bouchard then gamely replied to John, asking him where he lived and cursing herself for daring to bet against the game’s MVP Tom Brady. In keeping with the sports theme, Bouchard later posted images of the two enjoying their date at an NBA basketball game. The couple posed intimately courtside while taking in a Brooklyn Nets game at the Barclays Center, New York. In news of another Super Bowl bet, an Atlanta zoo has named a cockroach after match-winner Brady. Zoo Atlanta says on its Facebook page it wagered with Roger Williams Park Zoo in Rhode Island, New England, which would see the loser forced to name a baby animal after the winning team’s quarterback. The animal in question was agreed to be a Madagascar hissing cockroach. “Our now famous friend at Zoo Atlanta has made quite the splash, so we just want to reiterate that this was a friendly wager between our zoos!” a Facebook post on the Zoo’s account reads.